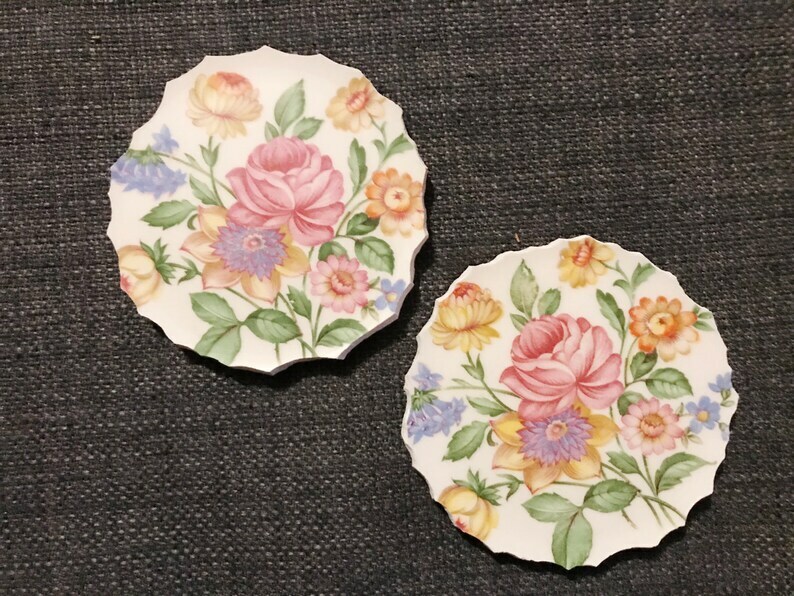 Set of TWO: Rose and floral focal hand cut from a broken 1950s vintage Edwin Knowles plate. Perfect centerpiece for your next mosaic masterpiece. These focals have a bit of a lip underneath, but they will lie flat.